This Spring, we’re hoping to fund two or three more microloans to small business owners in developing nations through Kiva (www.kiva.org). It’s our way of combining efforts with others on a small scale in order to make a large impact, in this case, to help in the fight against global poverty. 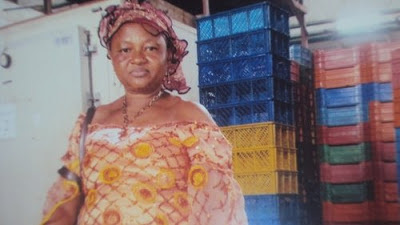 The first of our Spring 2013 loans (and our 45th loan since we started) is helping Aminata in Sierra Leone. The average yearly income for workers in Sierra Leone is just over $900. To help business owners in Sierra Leone to lift themselves out of poverty and subsequently improve their local economies, Kiva has partnered with the Association for Rural Development, which has been funding loans to small-scale businesses in Sierra Leone for two decades. Aminata has been selling fish since 1987. The money that she received from a Kiva loan (made possible by us and 29 other lenders pooling our money) will help her to purchase more fish to resell and keep her business going strong. One thing we like about these loans is that the description Kiva shares about a borrower and his or her situation will often include the borrower’s dreams and future aspirations, and having a successful business is part of the equation to make those dreams happen. In the case of Aminata, she hopes to be able to build her own home someday. On the day we made our loan to Aminata, we received an update from Kiva about one of our 2012 borrowers, Davit in Armenia. He’s a taxi driver who received a Kiva loan last June to convert his vehicle engine’s fuel system from petrol to the cheaper and more eco-friendly compressed natural gas in order to decrease his fuel expenses and have more money to provide for his family. The update said he has indeed been able to cut fuel costs, which has increased his profits — a very successful and significant outcome since he’s the sole breadwinner in his family. Seeing Davit’s dream realized means so much to us. We can’t wait to see how Aminata does!